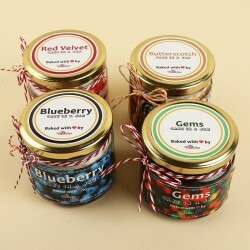 Cake in a jar is an ideal treat for all your family and friends. 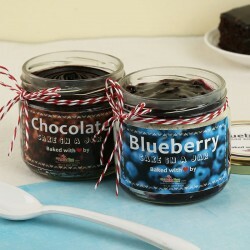 It is a glorious union of cute miniature jars and cake. Make jaws drop and create a lasting impression at all times. Free shipping available! 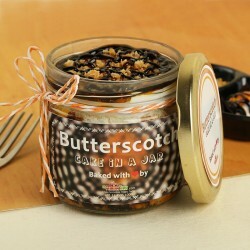 A Cake in a Jar? Why's that? 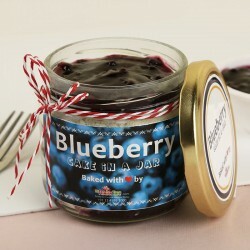 There is something to be said about the absolute cuteness of the idea of a cake in a jar for sale. While cakes are a necessary part of most celebrations, you can't always keep waiting for some special day to enjoy the luscious goodness of these desserts. 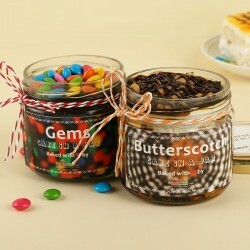 Regardless of whether you have a special occasion or not, a jar cake makes for an amazing gift for a loved one. You of course have your online birthday cakes and gifts, but what about the time you just want to remind someone of your love for them? A whole cake might be a little too much at the time. That is when a jar cake can come to your rescue. 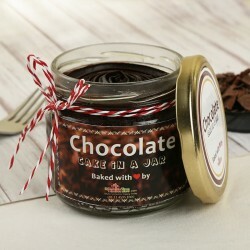 There is something innately personal about choosing the cake in a jar gift, when you know you are buying it for someone special. 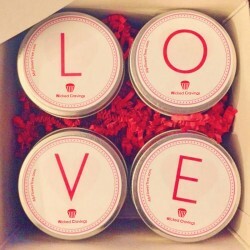 A jar cake is a perfect gift for anyone and for any day, and it just helps you show how much you care. 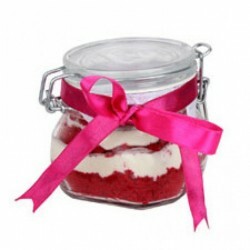 While a cake in a jar delivery might be a relatively new concept, the tradition of including cakes as a part of birthdays and weddings has been one dating back centuries; in fact, to ancient Roman times. Originally, cakes were served at special occasions and were flat circles that were made using flour and nuts, were leavened with yeast, and a sweet flavor was added using honey. Though earlier the tradition was to have these 'cakes' only at weddings, by the 15th century, the bakers in Germany started marketing their cakes, which were one-layered, to people for other occasions too apart from just weddings. This was basically what led to the birth of the birthday cake. The wedding cake had always been popular since ancient Roman times. The wedding cake symbolizes a lot of things, like commitment to take care of each other, the promise of support, etc., this is also the reason behind the popularity of 25th anniversary cakes. While the birthday cake did take on its contemporary form that we know so well, with numerous aspects like icing, decorations, and even multiple layers; these cakes were at the time considered a luxury and were available only to the wealthy. However, with the industrial revolution and the consequent availability of baking instruments, birthday cakes got easier to make and also got cheaper in price; finally becoming accessible to the lower classes as well. 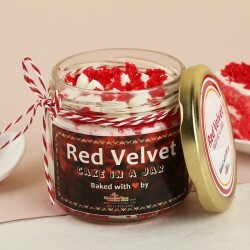 From there to this cake in a jar gift, we have truly come a long way. 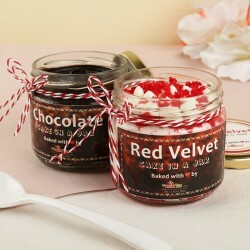 Now, with the Jars of Romance, you can tell someone your true feelings with a collection of 4 red velvet cakes in jars, the lids of which spell out the word 'love'; and you can do it from any corner in the country, as long as you have a working internet connection. MyFlowerTree is one of the most simplified online gift shops when it comes to finding the best cakes or flowers for your loved ones. We also care about how you care about someone, so we ensure express deliveries to make sure that your gift reaches its destination on time. 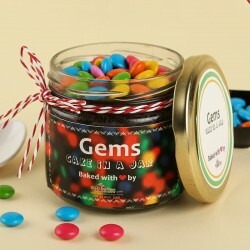 Browse through the jar cake collection available for online cake delivery in Lucknow, Kolkata, Mumbai, Delhi NCR, and many more places, and choose from the flavors, one that you know they will love. 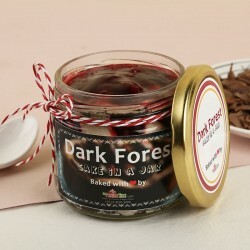 The ease of online shopping just adds to your experience of finding and selecting the perfect jar cake and having it sent to your special someone's doorstep, without having to spend a lot of time visiting shops and bakeries. With these cakes you also have the option of choosing midnight gift delivery or a fixed time delivery, so you can surprise your loved one when they least expect it. Products in this category have been rated 4.6 out of 5 based on 110 reviews.